This book was inspired by The Art of Darksiders II and the artists at Vigil Games, the company that produced Darksiders. Vigil Games was closed down in 2013 and there was this idea of getting reconnecting with the artists to come up with an artbook. SUBSTRATA is that book. There are 80 artists featured in this book and that includes artists from other top game studios. Hats off to illustrator Paul Richards for putting in the serious effort of curating so much artworks and getting all these artists together. The artworks featured are fantastic. It's concept art galore. There are lots of character and creature designs, and to a lesser extent art for environments and other miscellaneous subjects. There are sketches, many full-colour full-page illustrations, and even 3D models. The ideas and designs are gorgeous, which makes it a nice book to flip through occasionally for inspiration. All the works are very detailed and look amazing. In some way, SUBSTRATA feels like a portfolio book for these artists, a random display of top notch art. There's no narrative, and there's no fictitious game that these artists are designing for. The only text you'll see are the artists' names and their website. 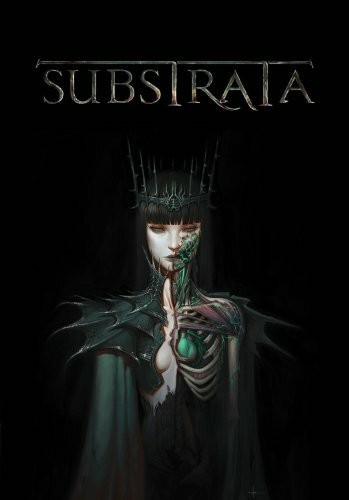 Other similar books that come to my mind would be the artbooks from Massive Black, Feng Zhu but SUBSTRATA represents better value for money because it's more affordable, there are more pages (240 in all) and the art is great. Udon mentioned that proceeds from the book will go to the charity organization Gamers For Good. This is an awesome concept art book. Highly recommended.